Some might see Georgia as a state full of sweet tea, boiled peanuts, and peaches– but that is not all the state has to offer. Right on the coast of Georgia lies the Golden Isles. With beautiful beaches, incredible adventures, and interesting seaside experiences, you’ll never want to leave. Here are 15 things to do on your next trip to the Golden Isles. 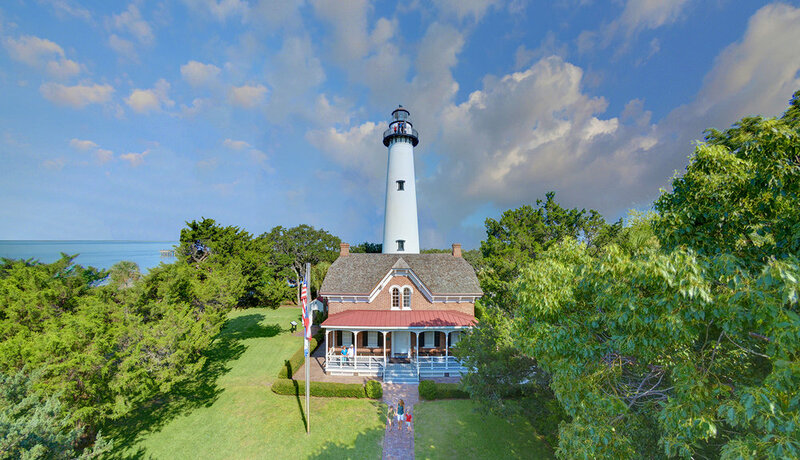 Put your shoes on and climb 129 steps to the top of the St. Simons Island Lighthouse. From the top, you can see a beautiful view of St. Simons Island, Brunswick, and Jekyll Island. Around the coast of Georgia, this is a rite of passage. Whether you want to go fishing, horseback riding, miniature golfing, or biking, everybody can play like kids. The amount of family-friendly activities to do in the Golden Isles are endless. From fresh shrimp to grouper and oysters, the seafood found here is some of the best in the world. With everything being fresh-caught, you can’t miss the food scene. Whether you want to take a guided horseback tour through maritime forests, salt marshes, and along vast beaches or go biking on nature trails and sandy beaches, the Golden Isles has it all. There are plenty of adventures to go around. Driftwood Beach is the best place to pack a breakfast and enjoy a picnic at sunrise. This beach has driftwood and unique looking trees along the shoreline making the sunrise even better. The Georgia Sea Turtle Center is a can’t-miss place. Here you can learn about sea turtle education, rehabilitation, and research. You can even meet the turtles! Check out the Hofwyl-Broadfield Plantation in Brunswick to experience the history and culture of Georgia’s rice coast. Fun guided tours take people through life on an early 1800s rice plantation. This is the perfect place to get outside and sleep under the stars. 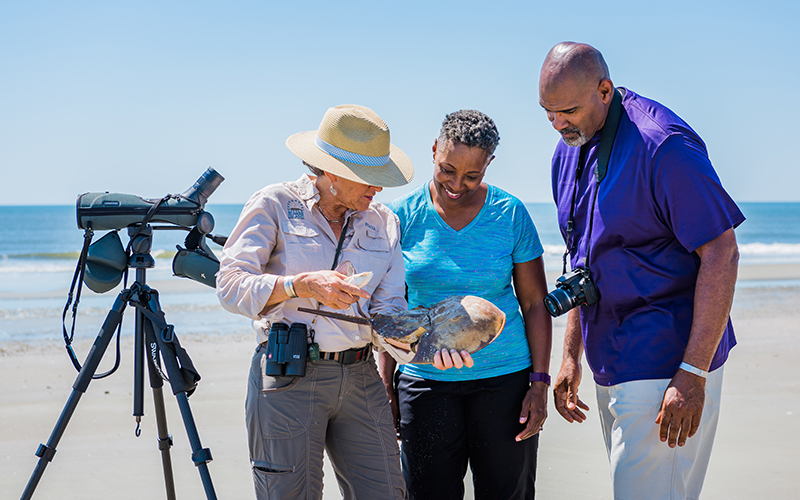 Pitch a tent or park your RV on Jekyll Island or Brunswick to get up close to the natural beauty of Georgia’s coast. Head to Historic Downtown Brunswick to see a live performance, film, or exhibit at The Ritz Theatre. You can roll out of bed and onto the golf course at the Golden Isles. With 189 holes of golf, there are endless options for golfers on some of the country’s most spectacular and widely acclaimed golf courses. 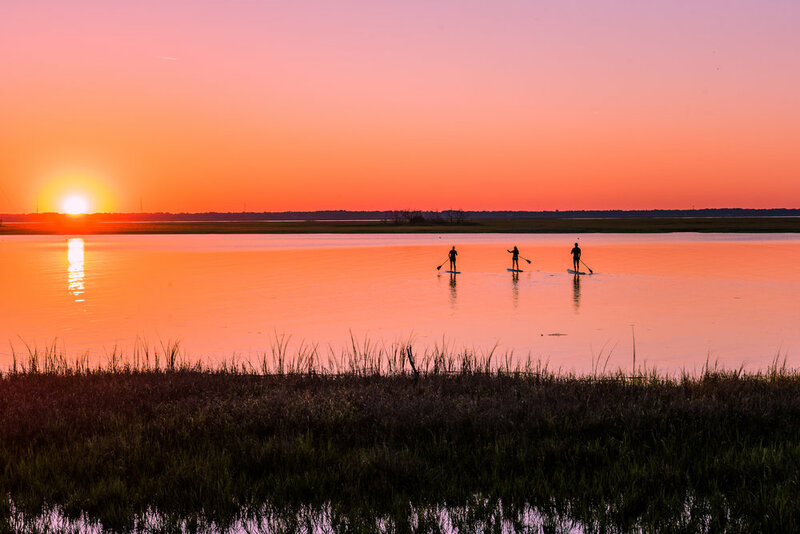 Grab a paddleboard or kayak and explore the waterways that wind through the beautiful marshes. Paddle through the gold colored grass in the fall or come through in the summer to see the lush greenery. Sit back and enjoy the culture. Not only is the community full of generous people, the local restaurants are also full of southern hospitality. People are so hospitable, it will feel like you never left home. The Golden Isles offers daytime and overnight camps for kids of all ages during the summer. Foster your child’s interest in sports, nature, cuisine, and so much more. With endless options for fishing, shelling, bicycling, and birding, it is the perfect place to get outdoors. There are more than 50 miles of paved bike paths that wind through St. Simons Island and Jekyll Island. Whether you want to go to a PGA golf tournament, a holiday celebration, or a food festival, the Golden Isles has it all. No matter the time of year, you can find a unique event to attend. With so many things to do and experience, the Golden Isles might become your families go-to vacation destination. Next time you’re planning a family vacation or weekend getaway, Golden Isles should be at the top of your life.